The Teen Resource Center provides today’s information-hungry teenagers with the practical reference content they crave. Engaging, easy-to-access topics are grouped into the three broad areas of Health, Financial Literacy, and Personal Growth. 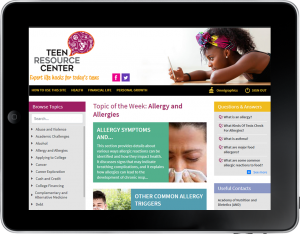 In addition to authoritative coverage of the top issues facing teens today, the Teen Resource Center serves up links to support groups, hotlines, and more, plus a searchable database of frequently asked questions complete with helpful, real-world answers. 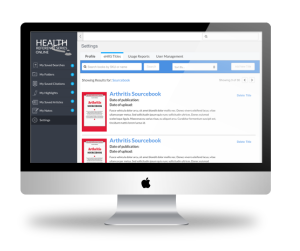 Health Reference Series Online provides online access to the Health Reference Series and Teen Health Series collections. It includes all the features of the print volumes plus a clean, intuitive interface with a powerful natural-language search, individual user accounts and handy research tools including citation generation. With on-site and remote access users can access this valuable resource however and whenever they want on multiple devices including tablets and smart phones. Defining Moments Online provides simultaneous access for all users to every volume in the Defining Moments series, with new volumes added as they’re published. 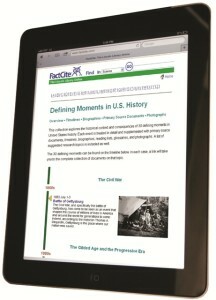 It offers users comprehensive overviews of the important “defining moments” in American history, along with related biographies, primary sources, glossaries, timelines, and more.